Happy Thanksgiving! In some of my driving back and forth from home to the office … meetings… churches, etc. I have been listening to the radio and on KOST 103.5 they have been playing Christmas music already. I like it! And I know… Thanksgiving week hasn’t even come up just yet, so what’s with all the Christmas music? For me, it’s just fun, festive and puts me in a good mood. Many of you will be getting the home all ready for family to come and gather around the turkey… others of you will travel to be with family. Some by road, others by air. Any by boat? I used to travel that way many years ago. But, I just love Thanksgiving. It’s always been one of my favorite holidays in the year. While growing up in our small jungle boarding school, it was the only holiday in the year (during the school year) when we ONLY had a half day of school. Classes were out by noon. The dorm-parents would gather us in the dining hall, along with some of the teachers, and we’d ALWAYS enjoy a feast. There was always plenty of food… even for seconds. We got mashed potatoes and gravy, green beans, camote (pronounced CAMOTAY) which was similar to sweet potatoes, turkey, corn and peas, Jell-o, and we always had ice-cream for dessert. But that wasn’t the only reason Thanksgiving was so special for me. You see, the school year started in August, and we’d be away from our families… mom, dad, siblings, for much of August, September, October, and November. And when Thanksgiving would roll around, it meant that there were only ten days left before we’d be heading home for Christmas. So… a half day of school, a great meal to enjoy, and then the whole afternoon free… WOW! In 10 days I’d see mom and dad…. I always had a great deal to be thankful for. Allow me a moment to make this quick comment of thanks to you. All of you… You see, when I was growing up on the mission field, there were some churches that had recently embarked on a new “missions” idea called FAITH PROMISE… a systematic method to care for the needs of what was then THE GENERAL BUDGET… today we call it WEF (World Evangelism Fund). 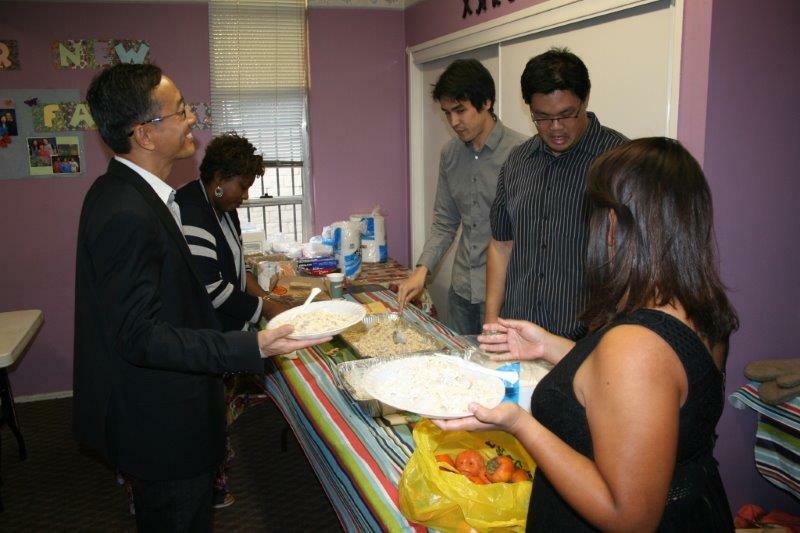 Some churches relied heavily on Easter and Thanksgiving Offerings to cover the missions’ needs. Many churches did both. Today… I want to thank all of you who supported The General Budget or the WEF today. Did you know, that because you gave to missions… I was able to fly home to be with mom and dad for Christmas? I received an education in various boarding schools because you gave… and many of you gave sacrificially. Thank you! But, I am most grateful that you gave… and gave beyond your own ability for missions. And I NEVER missed a summer or Christmas vacation with my family. Because you participated in WEF… I was able to return home and spend these special holidays and summertime with mom and dad. May I remind you, this Sunday is a golden opportunity for every local church to receive a special Thanksgiving Offering for Missions? Thank you for your generous support through your faithful giving towards the Unified District allocation… Thank you for your WEF contributions. You bless me and my family today! ENCOURAGEMENT: “I thank my God every time I remember you.” (Philippians 1:3) This verse is repeated over and over and over again in all of Paul’s letters to the churches he had planted or ministered to. It may not be these exact words, but in nearly all of his writings he clearly gives thanks to the church and to the Lord early on. I do thank my God for so much in life today. Sure, there are many needs in the world. There is pain and suffering. We have questions. Things we do not know or understand. And people across the world are in need of our prayer support. How many of us were tuned in to the happenings in Paris only a week ago? And Paul, from prison, writes to the church… “I thank you!” “I thank God.” As we enter this week of Thanksgiving, I hope you will join me and thank God for those around you. I love the church. I enjoy traveling from church to church to be with you. I love the times we spend in worship. I am thankful for the Word of God that is shared each week. I am thankful for His presence as we seek His face each and every week. May you enjoy the greatest of days as you join your church family this Sunday in worship… and remember to give Him thanks. He loves you and He cares for you. 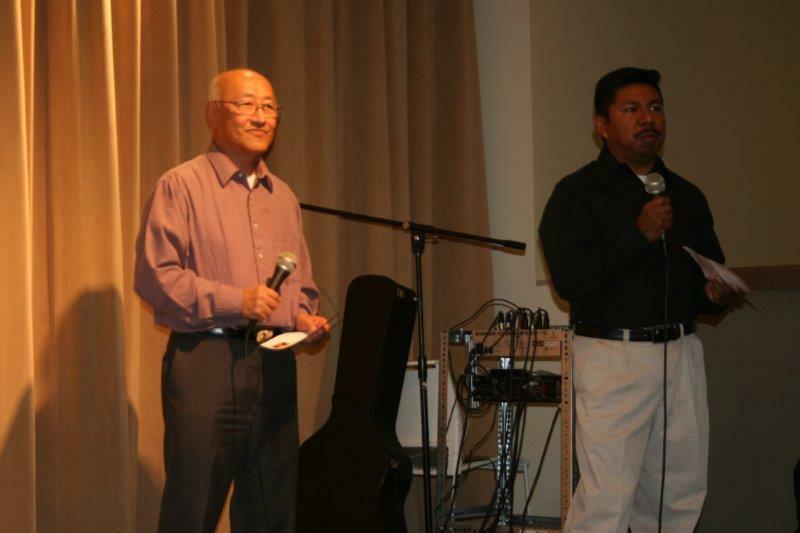 HILLSIDE COMMUNITY IN ROWLAND HEIGHTS: Last Friday night Leslie and I were invited to an Outreach Banquet, Pastors Sam Chung and Samuel Martinez had set up for their community. What a special night we enjoyed together! 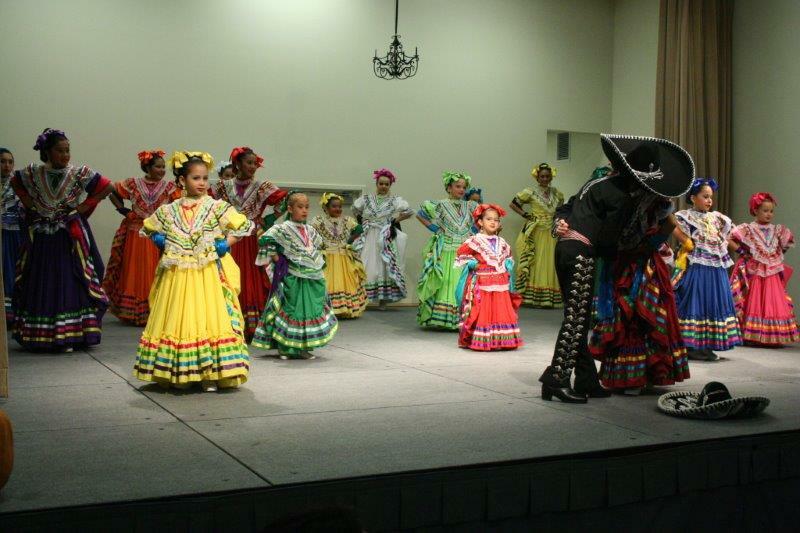 They had various dance groups come and provide entertainment for us. 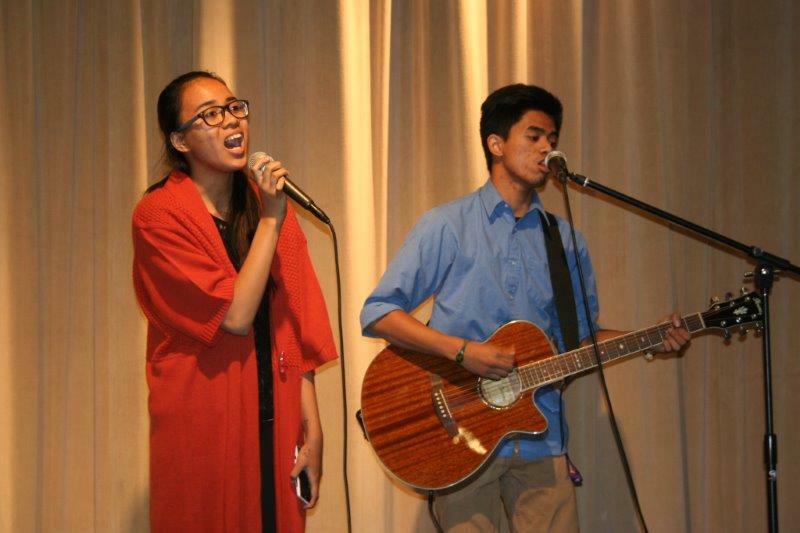 We heard some special music by JR and Bayaya Cabuntug, children of our Filipino pastors… and then I was privileged to share a little from God’s Word. There is such great potential for incredible ministry here at Hillside. I love it! NORTH HOLLYWOOD ARMENIAN: Last Saturday night Leslie and I were invited to take part in another banquet… that’s why I need to keep running. And WOW!!! The Armenians really know how to make a feast! 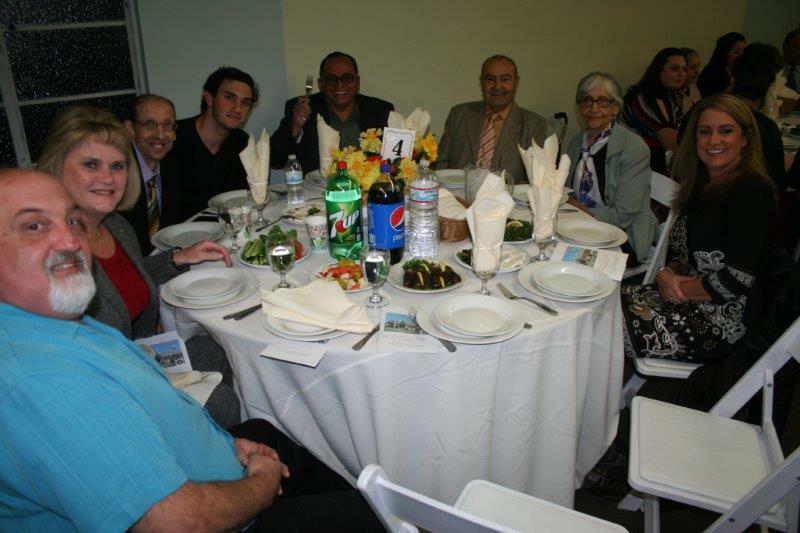 Bill Alajaji was there to greet us, as were Pastors John Tashjian and Carlos Perla. When I sat down at the table… I began to eat all that was around the table… “those were only the appetizers,” I was told later. Oops. I had no room for the main meal… but managed to find a compartment in the side pocket of my belly for a little bit more. What a special night we enjoyed together, listening to the Leone’s share in special music, the passion from the pastors, and they allowed me the chance to share as well. 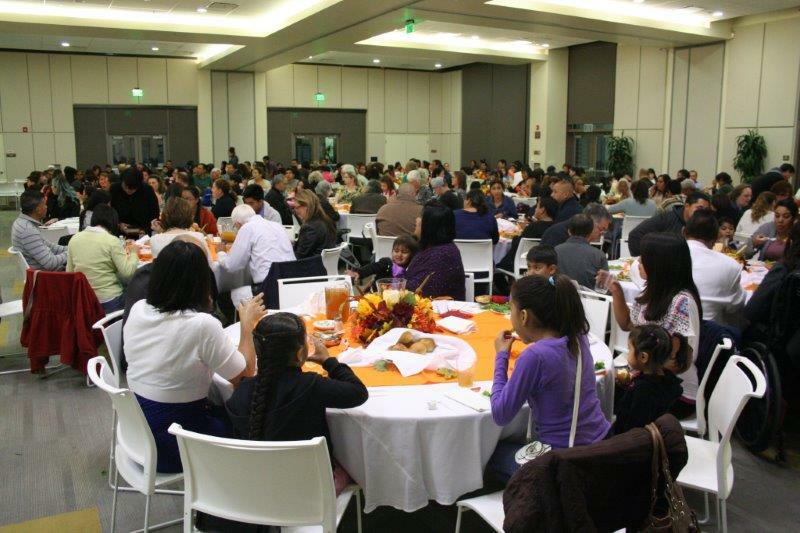 XARIS: Some of you may not know where Xaris is located… it’s in West Covina, and Pastors John and Michele Lee are doing a fabulous job in ministry. Following the music and worship, I was given the opportunity to preach and really loved being with our people there. When the service was done… we all stayed around for dinner afterwards. Do you see a trend here? In each of these places… I ate, and ate, and ate… Of course, there is something biblical about that. In Acts we find that the early church went from house (church) to house eating. 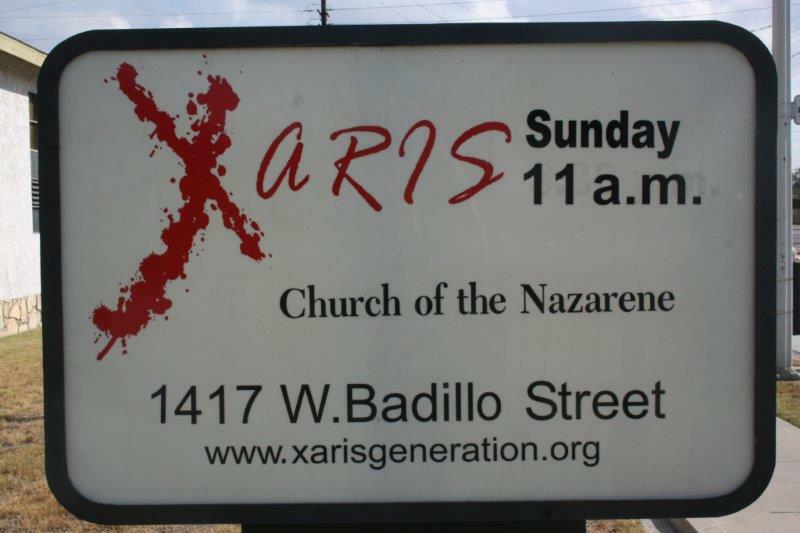 Xaris also has some items they are looking to donate to another church or ministry if interested: 2 glass display cases, piano, electric organ, some sound equipment (a used mixer, a roll away rack, and power amp). Contact John at johnwlee111@msn.com or 626-482-7043. MARCUS TRAYLOR: On Sunday night I returned to my home-church at NewNaz, where there was a special concert and silent auction to help assist the Traylors following multiple surgeries Marcus has undergone this past year. Bonnie is a district licensed minister and serves as a volunteer staff member at NewNaz. She also has served on various district committees such as NMI. Marcus has been a great churchman and a blessing to many. Yet, following a special music presentation last Christmas (literally), Marcus managed to barely sing his way through the song on the platform, and nearly passed out. He was taken to the hospital to never come home… until yesterday. The MRI revealed several cavernous malformations in his brain, including a large one in the brainstem. We are praying for the Traylors in the adjustments they will be making as Marcus comes home. So as I finish up these Few Thoughts of mine… I reflect on the many reason I have to be thankful. And guess what? TONIGHT… yes, tonight, I’m taking the night off to be with my family. Aubree got 4 tickets from the company she works for… and we’re going to the Clippers – Warriors game. If you know me… you know that I love basketball. And we’ve got great seats too. 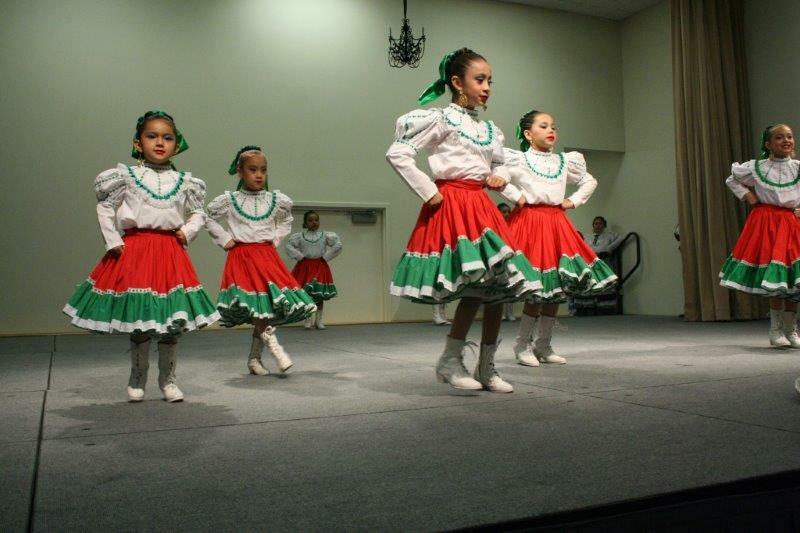 On Friday night we’ll be with the Casa Robles gang to celebrate Thanksgiving… and then at Point Loma for our 30 year reunion on Saturday. I can’t believe that Leslie is THAT old! This entry was posted in Uncategorized on November 20, 2015 by Shay. What is your favorite candy? The “tricker treaters” have come and gone, and we have a boat-load of candy left over. I do like to eat Twix… Reese’s Peanut Butter Cups… Snickers… but I really, really do enjoy Peanut M&Ms. My word! They are the best. I was given a huge bag of Peanut M&Ms for my birthday (back in September) and I still have a bunch in my desk cabinet. They are so good. I especially like the fact that the chocolate comes from the cacao bean that comes off a tree… therefore, it is healthy to eat… AND the peanut is a nut, which we are told… is very healthy for us. So… I am snacking with things that are good for me. Seems like winter has arrived in our home. The furnace is now up and running full throttle. The other morning when I went out for a run, the temps read high 30’s. I can hardly wait for summer to come. At 5:00AM, it means gloves, two long sleeve shirts, and a beanie over my cold and frosted ears. Headlamp on the forehead and off we go. So with the cold conditions, it does mean that Thanksgiving is just around the corner with Christmas quickly approaching. I do hope you are experiencing great days as we roll through November. I am! ENCOURAGEMENT: Taking the five loaves and the two fish and looking up to heaven, He gave thanks and broke the loaves. Then He gave them to His disciples to distribute to the people. He also divided the two fish among them. (Mark 6:41) This may be, perhaps, one of the most well-known miracles of Jesus recorded in the Bible. Lots of people know some element to this story. Those of us raised in the church remember Bible lesson, VBS, Sunday School discussions, or sermons from this text. It’s a great one… the disciples all had the same idea as to what Jesus should do, “GET RID OF THE PEOPLE.” There’s just not enough food to feed them all. It’s late, both the people AND the disciples are getting tired. Just send them home! I know just how the disciples felt. They had other things on their minds. They were hungry. They were tired. But, Jesus used them and had them find some food. Five loaves… Two fish. And Jesus, just before He broke the loaves and parted the fish to hand out to the crowds, He gave thanks for what He had. How many times do we find Jesus giving thanks in the scriptures? A lot! With Thanksgiving two weeks away, I’m reminded at the many blessings I have in which I need to be thankful for. Jesus looked upward. He looked to His Father in heaven and gave thanks. Jesus would rise early in the morning to give thanks. I’m certain He would give thanks before He would lay His body down for the night. Jesus gave thanks. As I read this passage, I’m reminded to not discard the things around me. There is no need to “send them away”, but to think on that which I should be thankful for. I have a lot… do you? 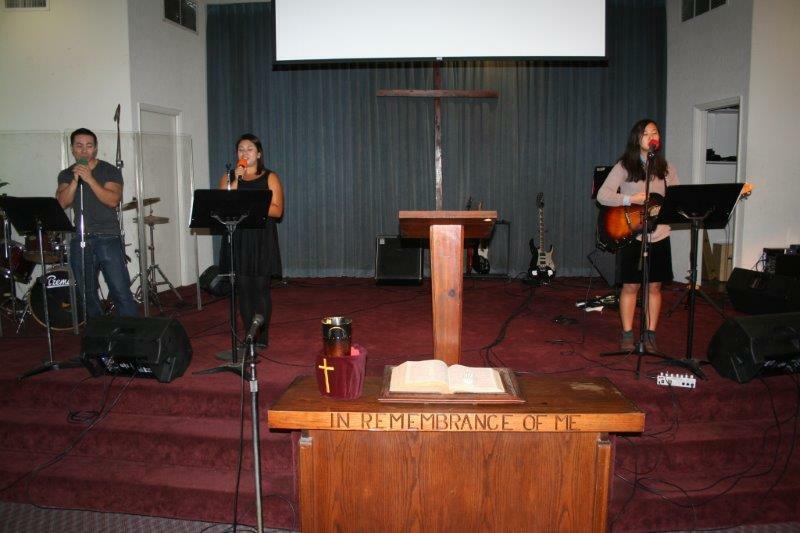 CAMARILLO: As you know, we installed a new pastor and family in our Camarillo Church a couple of months ago, Rev. James and Lindsey O’Connell. 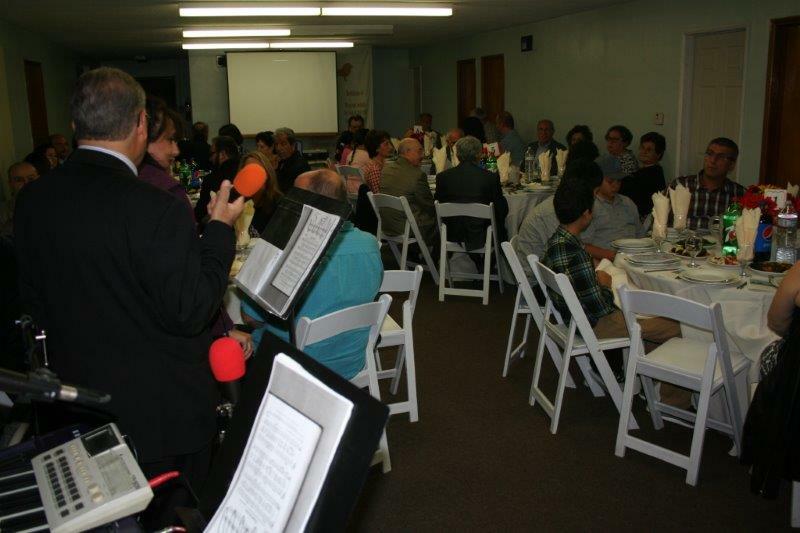 We are also blessed to have a vibrant, growing Spanish congregation there as well under the leadership of Rev. Alan and Gladys Arevalo. Just last weekend, Leslie, the girls and I had the privilege to worship with them in two evening revival and evangelistic services. 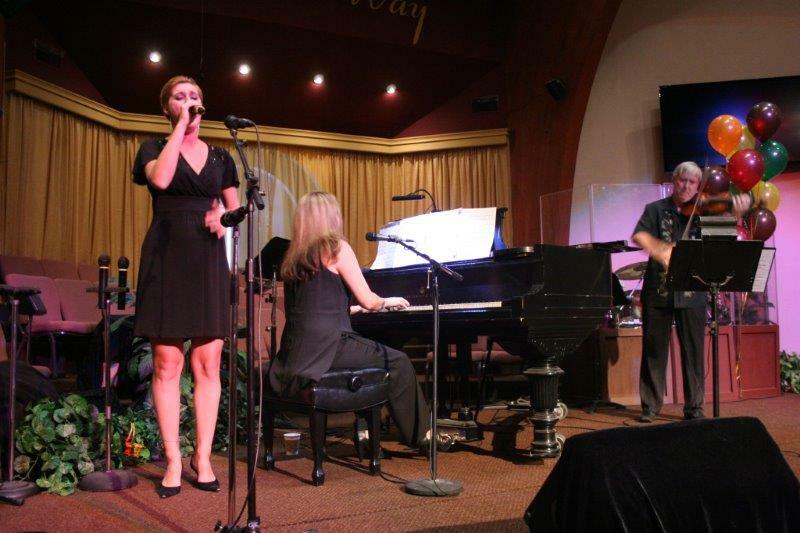 Here are a couple of photos of the congregation and worship team. I thank the Lord for what He is doing in Camarillo. LANCASTER VALLEY VIEW: Last Sunday I had the opportunity to worship and preach in the two services at Valley View: English and Spanish. Our English group is in search for a new pastor, but the Spanish church is doing so well under the leadership of Rev. Ruper Lopez. What a joy it was to take part in their honoring of their leaders for Pastor Appreciation Month! Here are a few photos of the work happening at Lancaster Valley View. LOS ANGELES FIRST ENGLISH: It was pointed out to me a few hours ago that the acronym for these four words in Spanish is “LA FE”. This translates into “The Faith”. As many of you know, we have been without a Lead Pastor in our English congregation for nearly a year. Pastor Scott Chamberlain has been our Interim Pastor and has provided great leadership during this period. However, after numerous board meetings with the leadership team, I am happy to announce that we will soon, by faith, install Pastor Josue Tiguila as the English Pastor for this wonderful body. His first Sunday will be December 6. I would appreciate your prayers for Pastor Josh and the church. Retired missionary Paul Hetrick was getting ready to celebrate his 100th birthday when he passed away on November 7. He and his late wife, Mae, served for 34 years in Swaziland, Mozambique, & Antigua. A memorial service was held on Wednesday, November 11. Retired missionary Pat Johnston passed away on Friday, November 6 after suffering a massive heart attack on November 2. Pat and Gordon served for 34 years in Jordan, PNG, & Lebanon. 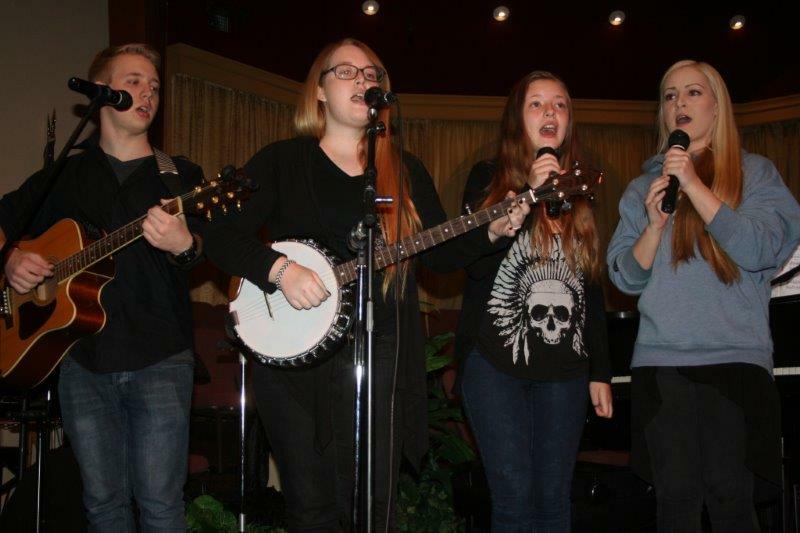 A memorial service was held on Monday, November 9 at Pasadena First Church. Please be in prayer for both families during these days as they mourn their loss. PLNU POINTLESS MUSIC GROUP: Following is an insert from Austin McKinley, the VP of Pointless: My name is Austin McKinley and I am contacting you on behalf of “Pointless”, the men’s a cappella group from Point Loma Nazarene University in San Diego. As the Vice President of Pointless, I am currently scheduling our annual Winter Ministry Tour and looking for churches to host our ministry during the first weeks of January, 2016. If your church is willing, we would be privileged to lead a worship service at your church on our Winter Ministry Tour, which begins Sunday, January 3rd and ends Sunday, January 10th. Each “Pointless” service consists of a congregational worship set, a lot of fun a cappella entertainment (including both secular and sacred songs), as well as testimonies from our group members. Although we hate to ask, there are a few provisions that are necessary for our ministry. The winter tour is a preparation and fundraiser for future ministry projects, which are financed by church donations and love offerings. We would love to be a part of your services and would greatly appreciate your support in the receiving of a love offering for our ministry. All donations will be used for our current and future ministry projects, one of which includes financially funding underprivileged students to attend Windward Nazarene Academy in Kailua, HI each year. Additionally, we ask that the church will organize home stays for the group on the night of our worship service, and provide a meal before the service. If there are any questions on the logistics of these requests, please do not hesitate to ask! I hope that your church will find that they are able to host our ministry for a day. If you have any questions please call me at (916) 838-8676 or aburgett1994@pointloma.edu. . One of our group members also plans to call the church office in the following days to speak with someone personally. May the Lord bless you this weekend! I do thank all of our Veterans who have served our country in years gone by… and continue to thank those of you who are serving, even today. Thank you, pastors, leaders, and laymen… all alike. You are a blessing to me and I look forward to my journeys across the district and to your church. I love you and hope to see you soon! This entry was posted in Uncategorized on November 13, 2015 by Shay.